How can we understand high dimensions, and why should we? High-dimensional geometry may seem like a hopelessly abstract subject, hard to grasp and with no obvious real-world relevance. But, surprise! It turns out you can't understand "big data" without high-dimensional geometry. 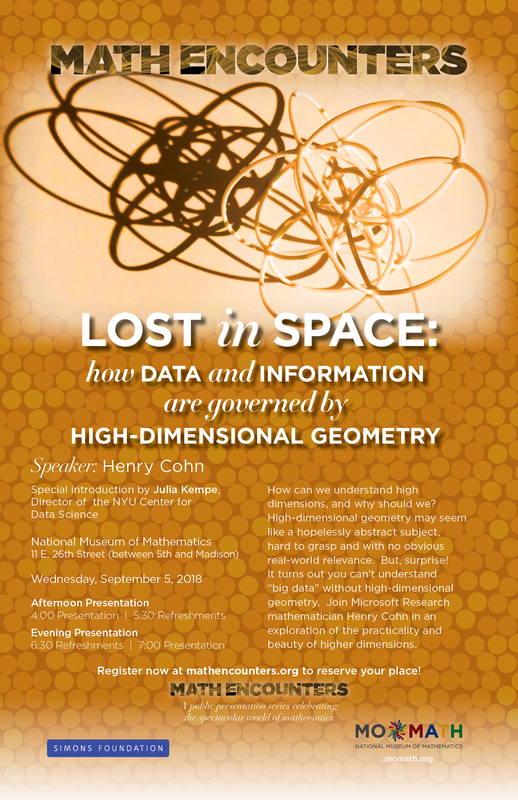 Join Microsoft Research mathematician Henry Cohn in an exploration of the practicality and beauty of higher dimensions. Special introduction by Julia Kempe, Director of the NYU Center for Data Science.